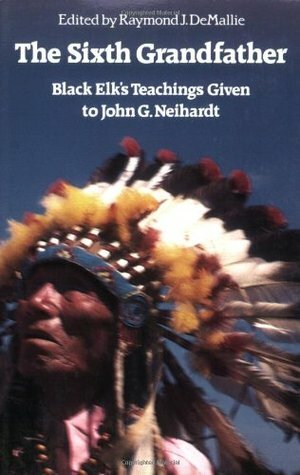 "The Sixth Grandfather" offers an annotated presentation of the raw transcripts of the testimony of the Lakota medicine man Black Elk to the poet and amateur ethnographer John Neihardt. These dialogs are better known by Neihardt's poeticized rendition in the book "Black Elk Speaks." In my review of that book, I discuss the pervasive and serious distortions that mar it, and for this reason I enthusiastically recommend "The Sixth Grandfather" instead. Black Elk lived the kind of life that no one would believe, if it were made up. Born to an Oglala Lakota family in Wyoming in the late nineteenth century, Black Elk lived a traditional life in camps pitched with tipis on the forests and plains, hunting buffalo and resisting the encroachment of white settlers in the region. At the age of nine, he fell into a coma for twelve days, during which time he experienced what he would subsequently call his "Great Vision," in which he traveled up into the sky and met with the Six Grandfathers, partial personifications of the Great Spirit who dwell in the six directions (north, south, east, west, up, and down). As he took leave of the Grandfathers, he gradually realized that the sixth grandfather, the lord of the earth below, was he himself. He awoke with the conviction that he had a sacred mandate and duty to restore his people to health and power, and spent the rest of his life with that vision as a spiritual and moral reference point, asking himself at various points along the way how important experiences fit into his vision, and suffering the frequent anxiety that he was not fulfilling his charge. His vision is paradigmatic of the shamanic initiatory experience of great distribution, and were this book nothing more than an account of this extraordinary episode and how he viewed it at different stages of his life, the book would be an invaluable document. But the book is more - much more. Black Elk was fearless in his desire to know the world and to be a part of it, and his hunger for adventure brought him into close contact with a series of historical events of great importance. He was present at the Battle of Little Big Horn, and fought against Custer's army. He learned the Ghost Dance when it spread to the plains, and was at Wounded Knee, where again, he fought. He joined up with Buffalo Bill's Wild West tour, and, having never been off the range, traveled to New York City to perform for months to sell-out crowds at Madison Square Garden. And he sailed across the sea, and was one of a handful of performers to dance before Queen Victoria at her Golden Jubilee. It is simply incredible, to read about all of these events described first-hand, from the perspective of a character you come to know and understand. He describes these events in a plain, declarative style, with alacrity and care. And it is moving - profoundly moving - to see him struggle with the meaning of the incredible things he saw, and his role in the events. It is heartbreaking to connect with his sense of sorrow as his people, and their way of life, and their relatives, the buffalo, are swept away by an infinite sea of white people. There aren't many books that I believe should pretty much be read by everyone, but this is one of them. It is a truly incredible experience. Sign into Goodreads to see if any of your friends have read The Sixth Grandfather.